Gilbert Bécaud was and incredibly important figure in the history of French chanson. His nickname Monsieur 100 000 volts was due to his electric presence on stage – specially in his favorite venue: the Olympia, in Paris – the singer remained popular for 50 years and was responsible for great immortal songs that were know worldwide. 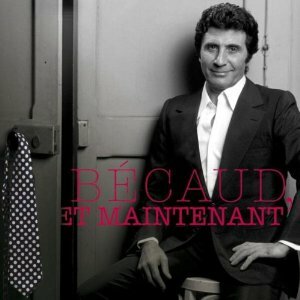 Bécaud had some of his songs translated into English and was recorded by people from the first rank, like t Frank Sinatra, Nina Simone, Bob Dylan, Willie Nelson, Elvis Presley, Neil Diamond, Sonny and Cher, and James Brown. Not bad, right? Because of the 10th anniversary of his death, an album will be released with French artists singing his biggest hits. You can see below the track list of this very promising release.